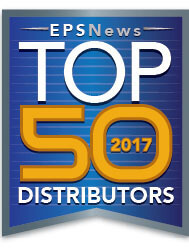 Download Our Top 50 Report! 2016 was another tough year for the franchised electronic components distribution industry in North America. The industry faced several challenges, including shrinking margins, currency fluctuation, and supplier consolidation, which had a significant impact on sales growth. The complete EPSNews report reviews what happened in the North American distribution industry in 2016, and looks at what’s ahead for the industry. While increased demand is good news for the channel in 2017, buyers may face shortages for several component types as we head further into the year.